60% of the time…. it works Everytime. Have you ever seen the movie Anchorman, The Legend of Ron Burgundy? There is a line in the movie where Paul Rudd’s character says, “60% of the time…it works everytime.” Will Ferrell’s character replies, “That doesn’t make sense.” I love statistics….especially ones that make sense. So that brings me to the claim that 97% of scientists agree that Global Warming exists and humans are a significant cause of it. This 97% claim is used by liberal politicians as a talking point to promote their climate agenda. They also use it to silence the opposition since you cannot argue “with science.” But like all statistics, the claim needs to be verified. This claim in particular is based on an article written by Maggie Kendall Zimmerman, a student at the University of Illinois in 2009. Her claim of “97 percent of climate scientists agree….” is from on an online survey she did for her master’s thesis. The two question survey was “Are global temperatures rising?’ and “Are humans a significant contributing factor?” The survey was not sent to solar scientists, space scientists, meteorologists and others who might be more aware of other natural forces of climate change. It was only sent to 77 “selected” climatologists. The lucky 77 who answered the ambiguous questions had to have at least 50% of their peer reviewed papers published within the last five years. This means climatologist who had been studying the science for a majority of their lives were not included in the study since it would be rare for them to have 50% of their work done in the last five years. A serious flaw. Not to mention that the word “significant” was not defined. Zimmerman’s introduction was also incredibly biased and the scientific aspect of the paper was mediocre at best. Essentially it has been proven the thesis is more propaganda than science. But this 97% is the extent of the detail shared by politicians and the media to influence public opinion. 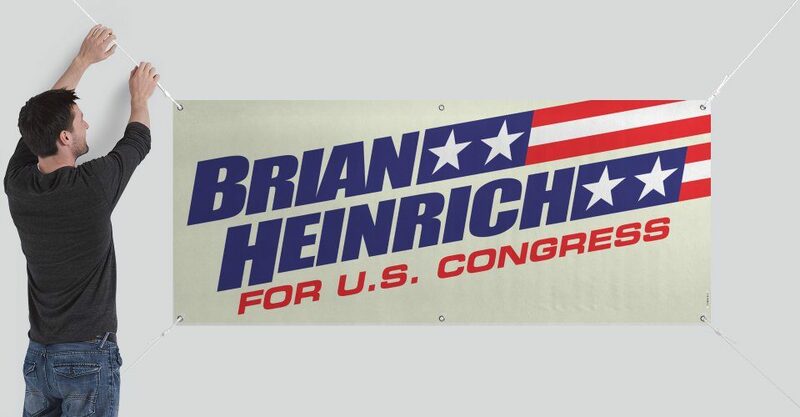 I don’t know about you, but I think we deserve more than propaganda from our leaders before we commit our our wealth and resources to “the green agenda.” My name is Brian Heinrich and I am running for the 1st Congressional District of Oregon and I appreciate your support.